Bei der italienischen HighEnd-Manufaktur Unison Research beginnt das audiophile Vergnügen mit dem Unico Primo. Class A Trioden Vorstufe mit ECC83 Röhre und Dynamic Class A Power MOSFET Endstufe - Das beste aus beiden Welten ! Ein grandioser Vollverstärker mit Kraft und sehr feiner, angenehmer Klangabstimmung. In dieser Preisregion das Beste was wir kennen. Best Buy ! Glücklichmacher ! 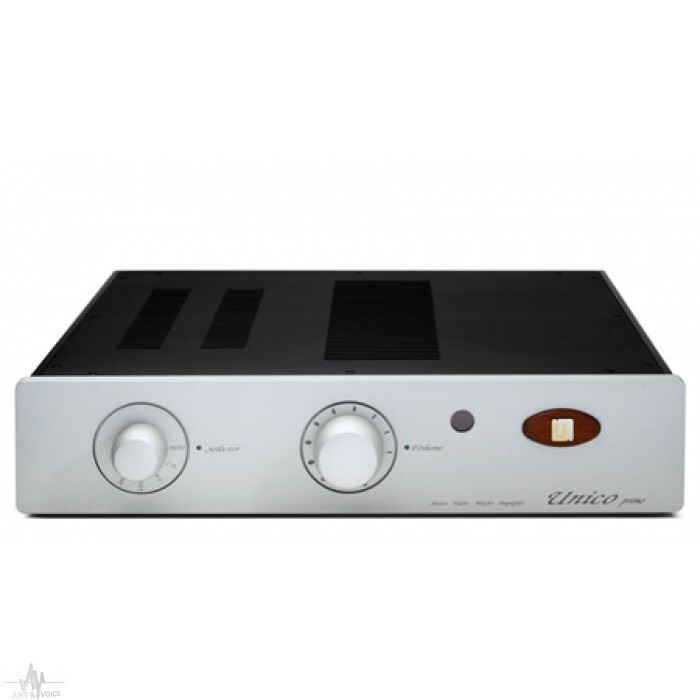 A perfect example of Italian style and design, the innovations contained in the Unico integrated amplifier designs are universally appreciated and recognized. Unicoprimo is a hybrid integrated stereo amplifier capable of delivering not less than 85W RMS continuous on a 8ohm load with both the channels driver (as usual for UnisonResearch declared power will be lower in order to keep our promises in every condition); with impulsive and not correlate signals (i.e. a real musical signal) the maximum power will be even higher. production lines. 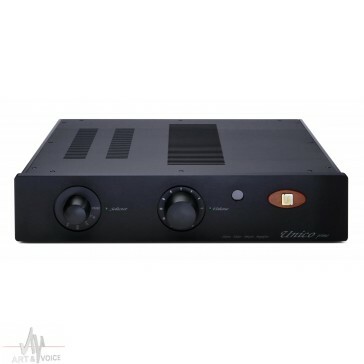 Thoughts arisen some time ago, during the design of Reference power amplifier, induced the UnisonResearch technical staff to deeply investigate the sonic performances of ECC83/12AX7 double triode in particular configurations. These investigations led the designer to the idea of using this kind of triode in Unico line instead of ECC82/12AU7. So we started a series of experiments on the on-production products, taking the best of our long time experience and of the result of or tests. Unicoprimo shares with UnicoP a design based on a single double triode, however in the new born amplifier the input and preamplifier stage has been tailor suited on a ECC83/12AX7 tube (whose characteristics are quite different from ECC82’s ones). 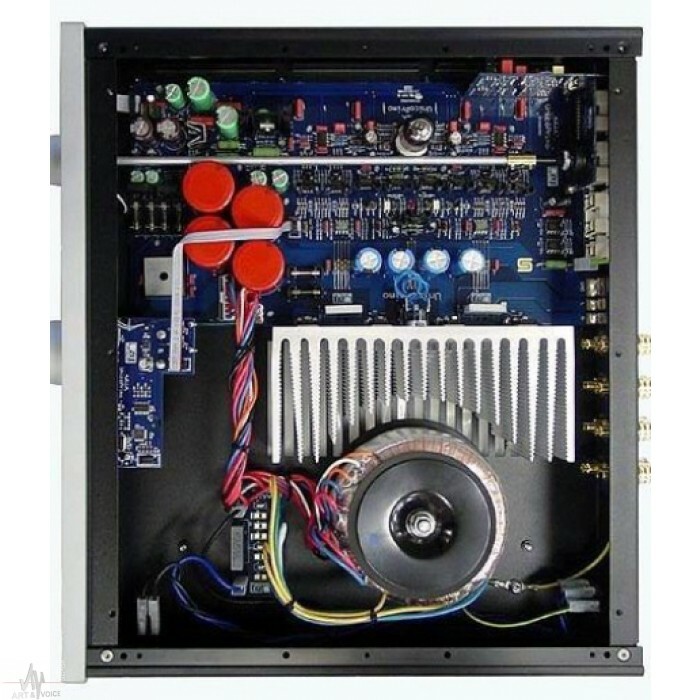 For the driver and power stages solutions long time tested in Unico amplifier has been implemented even with some little improvement suggested by the experience matured working on the following design. 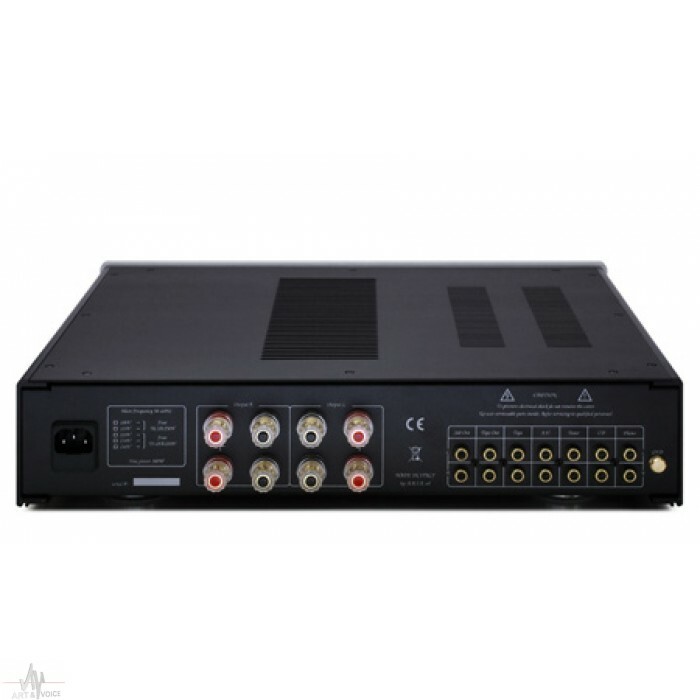 Power supply has been revised increasing power transformer and filter capacitors in order to improve dynamics, bass response, driving capability.